The big day has come: One of the biggest days of your life. Time grabs you by the wrist, directs you where to go. You only experience these years once in your entire life. You must make the most of the experience; you can’t go back in time. You’ve devoted at least 2 long years of your life to college with only short summer vacations off. You sat in various classrooms with the same students as you changed, grew, and moved towards the “real world.” And now, it’s time for the next phase of your life whether you like it or not. So, make the best of this test and don’t ask why. It’s not a question, but a lesson learned in time. You passed every class, and now, it’s time to put that cap and gown on and walk with your class one last time in your college graduation. This will be your very last moment with your college friends all in the same building, except for possible reunions every decade or so. It’s something unpredictable but in the end is right, I hope you had the time of your life. But when the big day comes for graduation, the song that plays when the graduates walk down isn’t by Green Day, it’s “Pomp and Circumstance.” Then, the ceremony begins. The dean speaks, the president of the college gives a speech, and you savor the memories of this special day. But what song would you like your college to play when they show all those tattoos of memories and dead skin on trial because for what it’s worth, it was worth all the while? A song by the band that gained popularity in the 90’s, led by a talented musician named Billie Joe Armstrong: Green Day! The band still remains popular, even with millennials. The song “Good Riddance” is very popular, too. It actually plays at many high school graduations today, but sadly, by the time we reach college, it completely disappears from our graduation ceremonies. My college didn’t play “Good Riddance” at my graduation, but I wish they had. 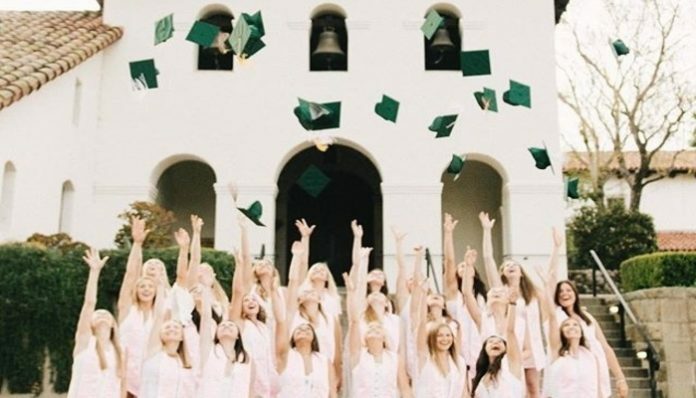 The song is emotional, which makes it perfect for graduation because stepping out into the real world is emotional, too. Tears flow from nearly all of the graduates’ eyes. It seems like everything is over when the graduates leave the stage and go their separate ways. But, “Good Riddance (Time Of Your Life)” is a reminder that it’s time to pass the test during this emotional time. It’s time to use the bittersweet memories as an opportunity to stay strong as we move ahead in life. I hear that message of bravery every time I hear the song.